Christopher L. Ulrich is a Principal in Cummings & Lockwood's Litigation Group and is based in the Naples office. 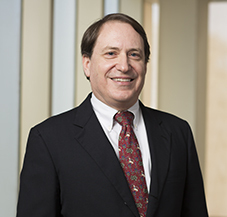 His practice focuses on disputes involving trusts and estates, including representation of both fiduciaries and beneficiaries. Chris also has extensive experience in the litigation and resolution of a broad range of business disputes involving contracts, competing business owners, corporations, partnerships and employment issues. Prior to entering private practice, Chris spend 12 years as a prosecutor in Brooklyn, New York and as a federal prosecutor with the Eastern District of New York's Organized Crime Strike Force.